Item is just as shown in the photo. Soft, downlike filling. The zipper seams study enough to endure a teenager. The item arrived in just a couple days after ordering. 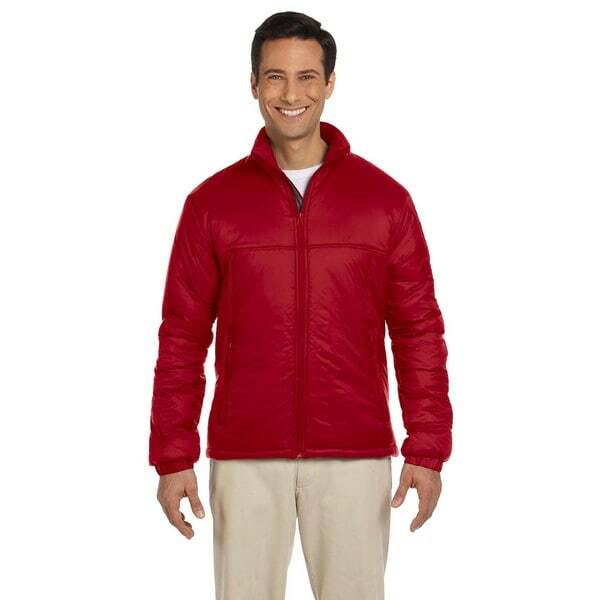 Step out in style with this Essential Men's Polyfill Red Jacket. It features 100-Percent nylon plainweave, 100g polyfill insulation, Inside storm flap, Interior chest pocket for easy embroidery, Elastic hem cuff, Drawstring hem.